Footwear can be a pricey investment so keep those valuable shoes protected within their own classy shoe bag. This bag is made from high-quality 190T ripstop polyester and features a mesh window for breathability. Plus, unlike most shoe bags, our bag's interior has a divider slip that will keep each shoe protected from marks and scratches that can be caused when shoes rub against each other. 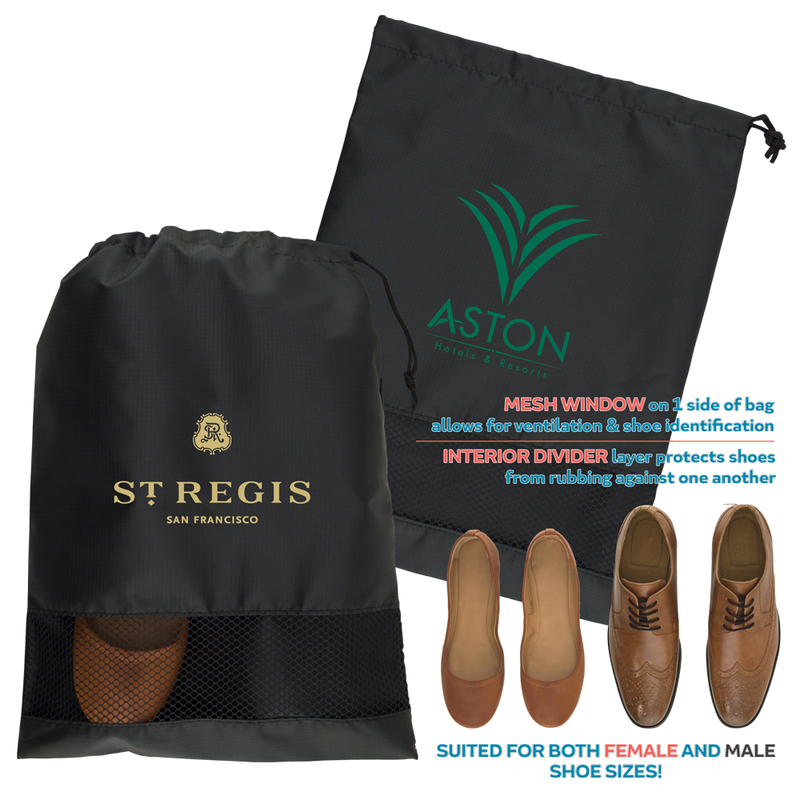 This item makes an excellent corporate, travel, or sports branded giveaway!